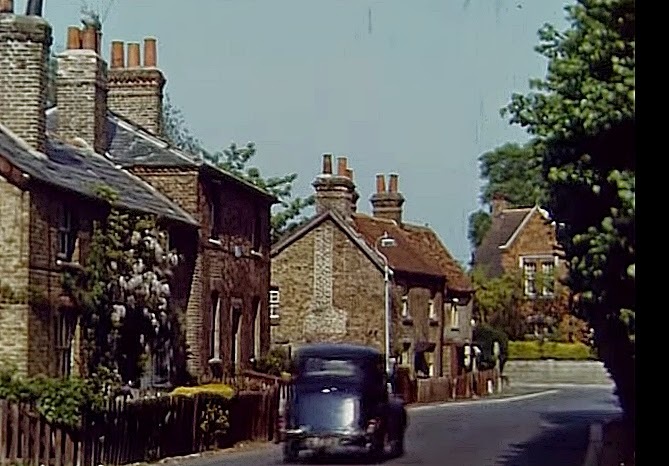 The photo above shows part of the town where I was brought up as a child - Hayes in, what is now called, the London Borough of Hillingdon. The photos are dated 1955. Times have made changes, that's for sure. 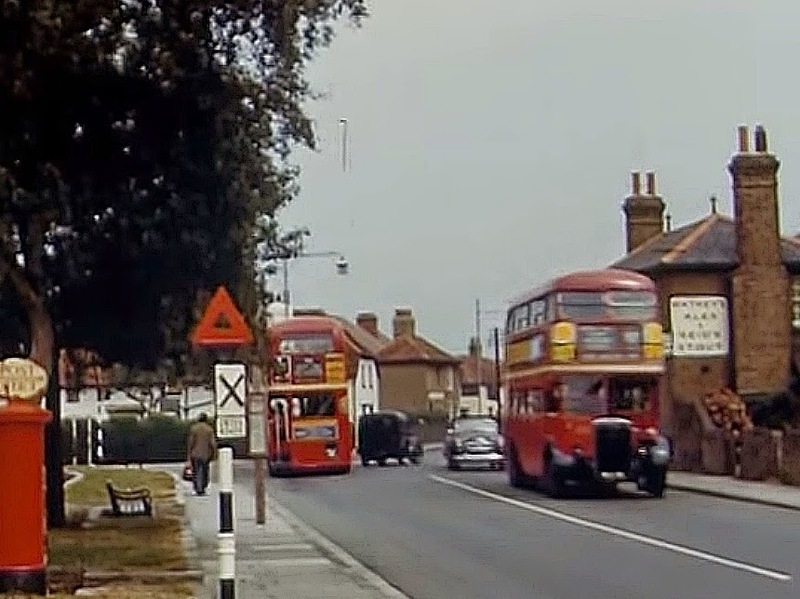 The photo below is from the same area showing red London Transport buses and a red post box. I came across these photos by chance, they are a little hazy, but I found them interesting. 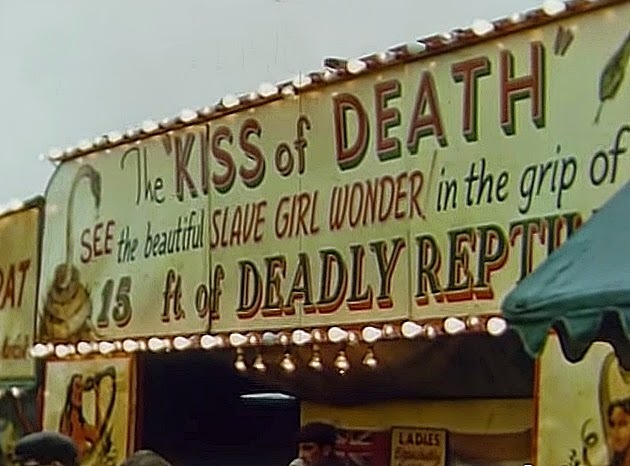 The following is from a Hayes Carnival. By comparison next is where my wife was born in Ohrfeld, north Germany. 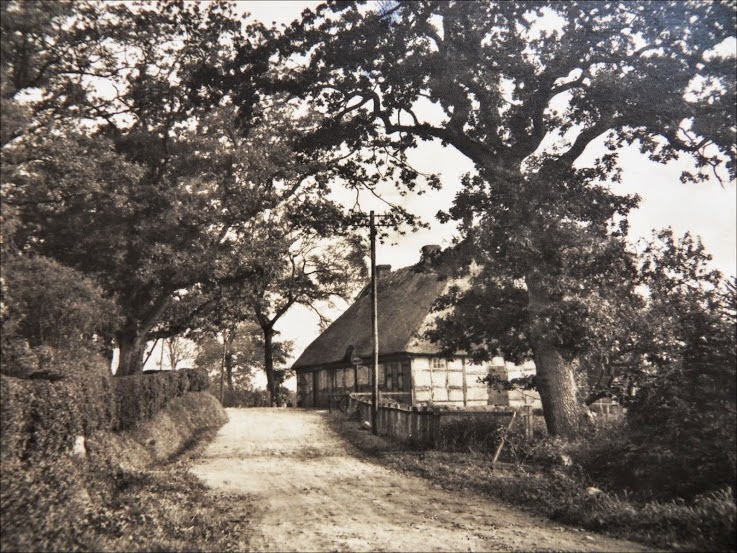 When we visited the area about 10+ years ago we found the house had been knocked down for a main road and housing. We recovered three bricks from the site to take home - which are now in our garden. And finally a photo of me I used for a Google+ community - several members published photos from when they were young. 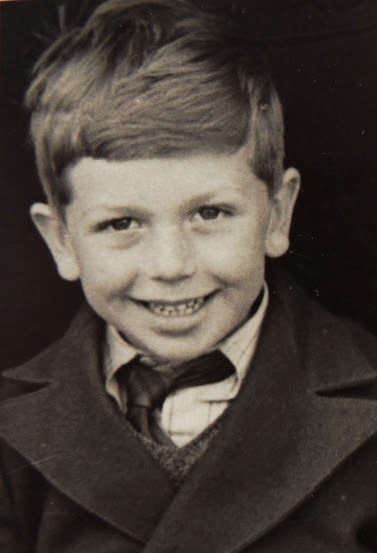 I think this was probably my first school photo when I was 5 - a wonky school tie and a blazer was the uniform - though the tie didn't have to necessarily be wonky! I love these old photos. The 50's doesn't seem so old to me until I start calculating how long ago it really was. Wonky tie surely a must. Time is very mischievous and tends to trick us all. Love the photos! I like that you and Karin took three bricks back to Cornwall with you. I wish I'd done something like that when Rob and I went to my old house in Venezuela - which was still standing and occupied! I think Karin was quite shocked at the time to see the pile of bricks etc instead of the cottage.